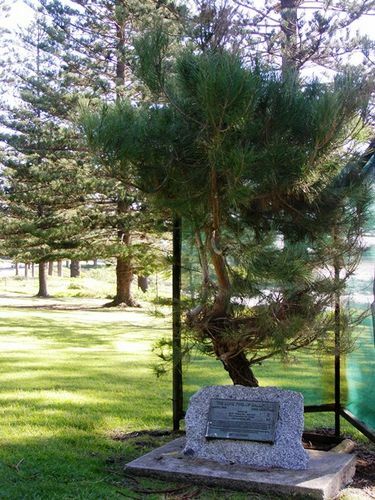 A pine tree commemorates those who served in World War One and marks the respect between the Turkish and Australian people which had its origins in the Gallipoli Campaign. This tree was propagated from seed originating from pine tree branches used in the trenches during the Gallipoli campaign, on the ridge known as "The Lone Pine Ridge" at Gallipoli. The seed was sent back to his mother by the brother of a digger killed during the campaign. She then raised the tree and presented it to the Australian War Memorial in Canberra.